Modern racetracks are modern engineering marvels; plain and simple. They are paved with minute precision to be as smooth as possible, their curves are freshly painted, and their boundaries are lined with high-tech barriers to make sure racers walk away from gargantuan shunts. All in all, most racing venues are the safest they've ever been for both racers and spectators alike—but that hasn't always been the case. I recently found myself in rural Wisconsin, the heart of cheese country, and not too far from where Johnsonville, the sausage giant, was established back in 1945. There were more cows around me than there were people. Interestingly enough, I also found myself at the epicenter of one of the greatest road courses ever: Elkhart Lake's Road America. But I'm not talking about the modern-day 4.04-mile racetrack, I'm referring to the 8.75-mile public road circuit from the '50s. Start of the 1951 Road America open road race. 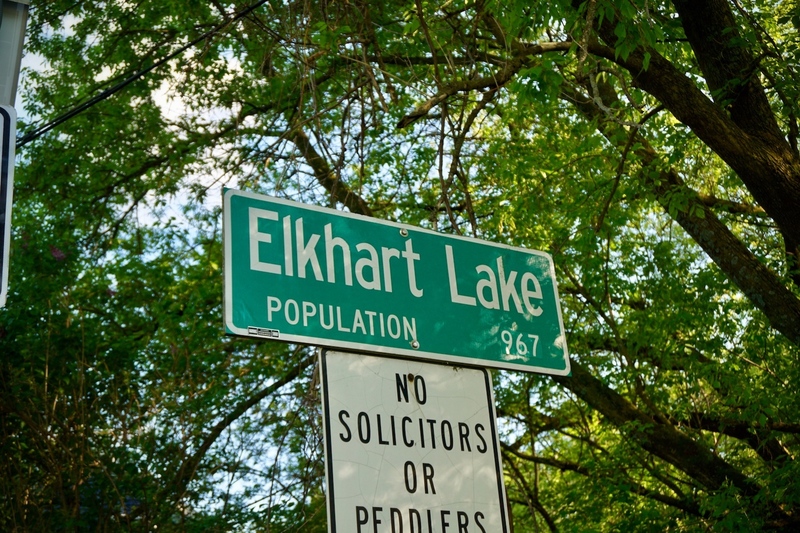 In 1950, a group of entrepreneurs set out to revitalize the town of Elkhart Lake, a small community surrounded by lakes and rolling hills that make the perfect retreat from neighboring cities like Milwaukee and Chicago. These visionaries came up with the idea of hosting a racing event that would allow race cars to traverse Elkhart Lake's winding country roads at high speed before crossing the finish line downtown. The first race was held in 1950, but by 1951, international racing stars like Briggs Cunningham and a young Carroll Shelby were lining up to participate in the high-stakes race sanctioned by the Chicago Region's Sports Car Club of America. Ultimately, many factors, but primarily safety concerns, shut down the event after the 1952 race. After doing a fair bit of research and some exploring via Google Maps, I was able to trace the old course on today's roads. My ride for such memorable journey? 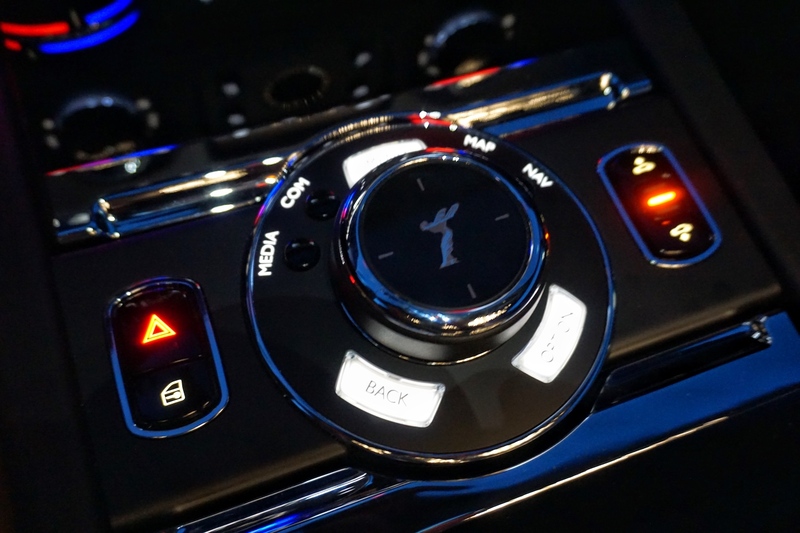 A 2018 Rolls-Royce Wraith Black Badge, also known as the driver's Rolls. 2018 Rolls-Royce Wraith Black Badge. 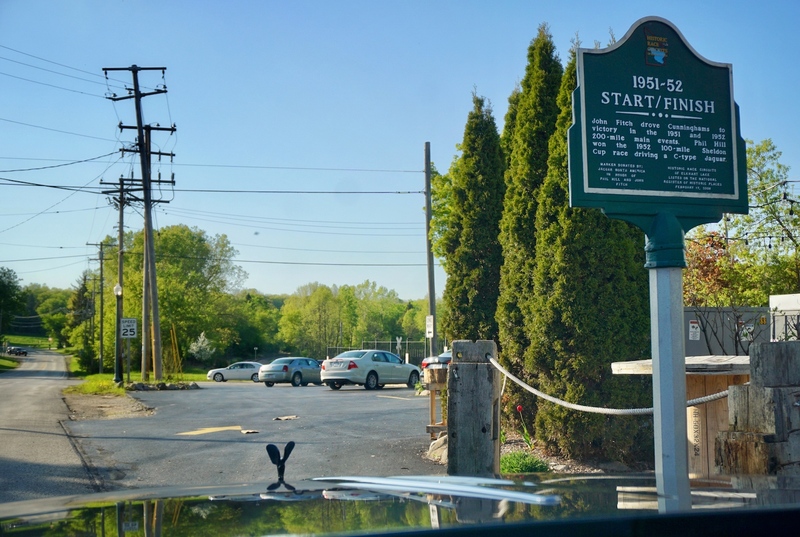 I stood at the original start-finish line located along County Road P, where a plaque reads that Jim Kimberly won the 60-mile headlining event in 1950 at the wheel of a Ferrari Tipo 166. Nowadays, a house surrounded by several barns is located where haybales separated race cars from spectators 68 years ago. The daredevils of the first-ever Road America launched from that very same spot and raced along a 3.35-mile circuit north of Elkhart Lake, all while 5,000 visitors cheered them on. However, in the two following years, the course grew longer and faster, and so did the crowds, which the Elkhart Lake Visitor Center claims exceeded 100,000 attendees in 1952. The many plaques of historic Road America. I eventually made my way to the other start-finish line, the one that's located in downtown Elkhart Lake and was used in 1951 and 1952. 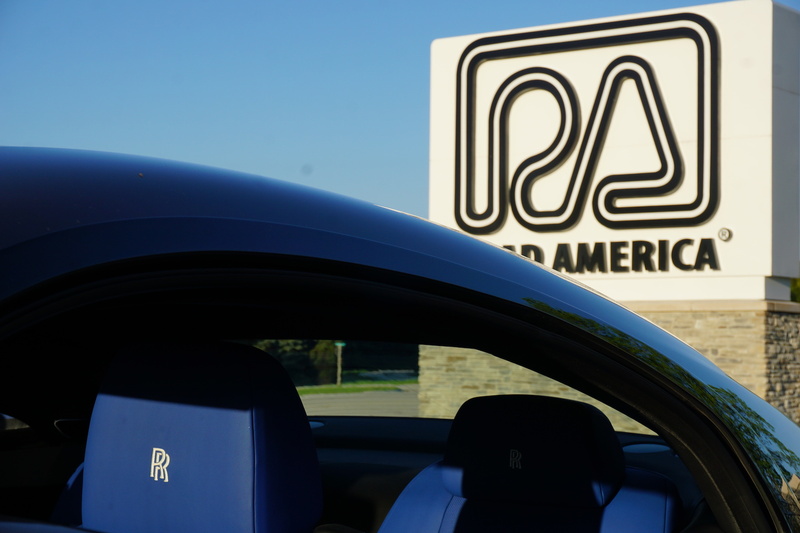 I parked the Wraith and all of its panache on the same spot where Phil Hill celebrated winning the 100-mile Road America race in a C-Type Jaguar in 1951, exactly 10 years before he became a Formula 1 world champion. Next on the historic course was Wacker's Wend, a hard right-hander that took me out of downtown and into the countryside, where I finally had the chance to stretch the Wraith's legs. 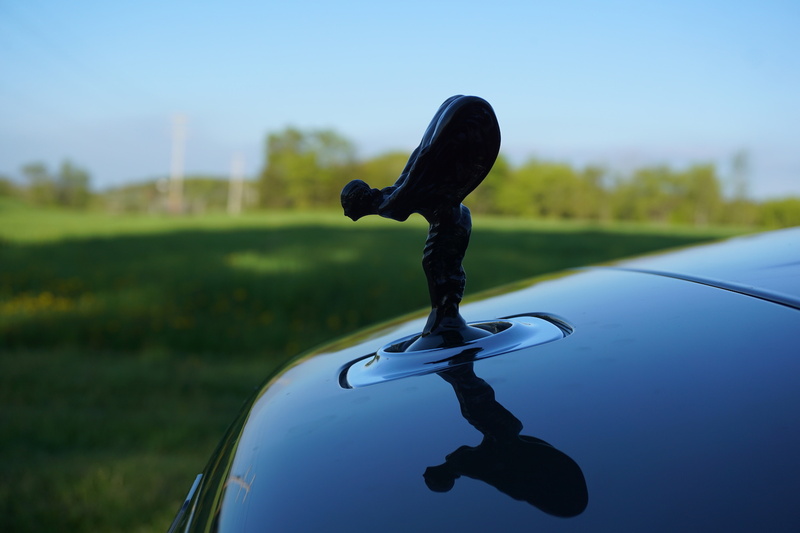 My eyes focused on the road ahead and not the mesmerizing Spirit of Ecstasy on the bonnet, which along with the 21-inch carbon-fiber composite wheels was blacked out as part of the $47,250 Black Badge option. Shortly thereafter I made another hard right at Hamill's Hollow, a sector named after the 1950 female race contender Joan Hamill, which led me directly to Schoolhouse Straight, a 1.5-mile straight located by, you guessed it, a school, which still stands but is no longer used. Despite the Wraith's governed top speed of 155 miles per hour, I couldn't emulate what American racer John Fitch did with his Cunningham C2-R race car in 1951: fly down Schoolhouse at 140 miles per hour. 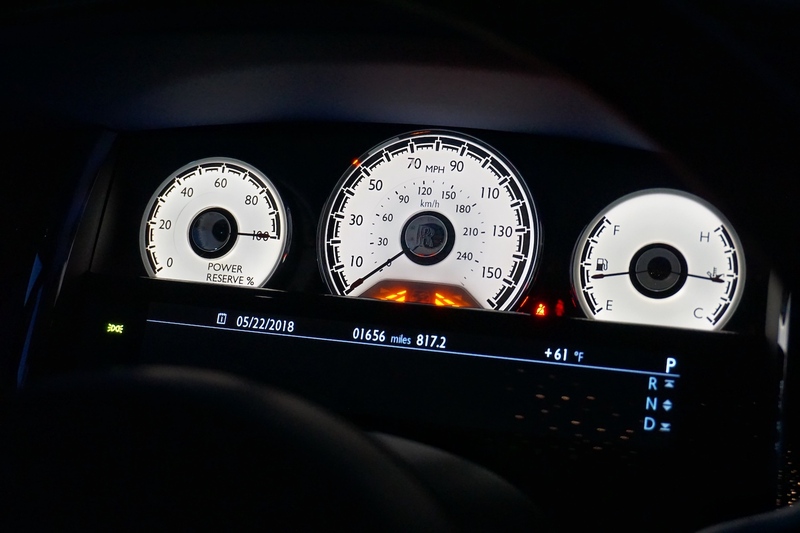 Regardless, it doesn't take much to reach triple-digits speeds given the twin-turbo V-12's 624 horsepower, and it's even easier to forget that you're going that fast thanks to its quiet cabin. 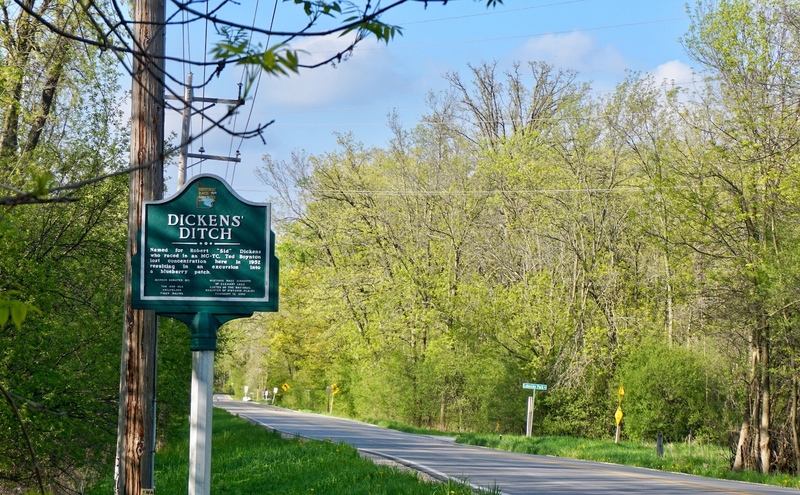 The short-chute to Dicken's Ditch. At the end of Schoolhouse there is another right-hander called Kimberly's Korner, named after James S. Kimberly, who a plaque claims "was more responsible than any other person for bringing open road racing to Elkhart Lake." Following Kimberly's there's another straight that blows past the 1950 start-finish line before bending to the right and to the left as it dips in elevation and ends at a hairpin. As intimidating as the hairpin is, it's the banking of the "short-chute" that leads to Dicken's Ditch that's even scarier. That corner famously sent Robert "Sid" Dickens and his MG-TC flying into a blueberry patch in 1952. 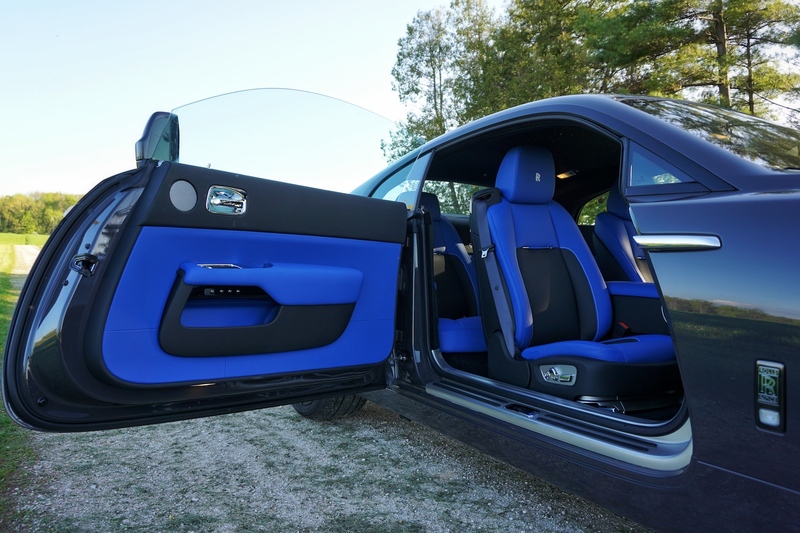 Luckily, my bespoke "Merlin Grey" coupe didn't show any signs that it would make blueberry jam, and neither did the "Cobalto Blue" leather seats with "Arctic White" contrast stitching. 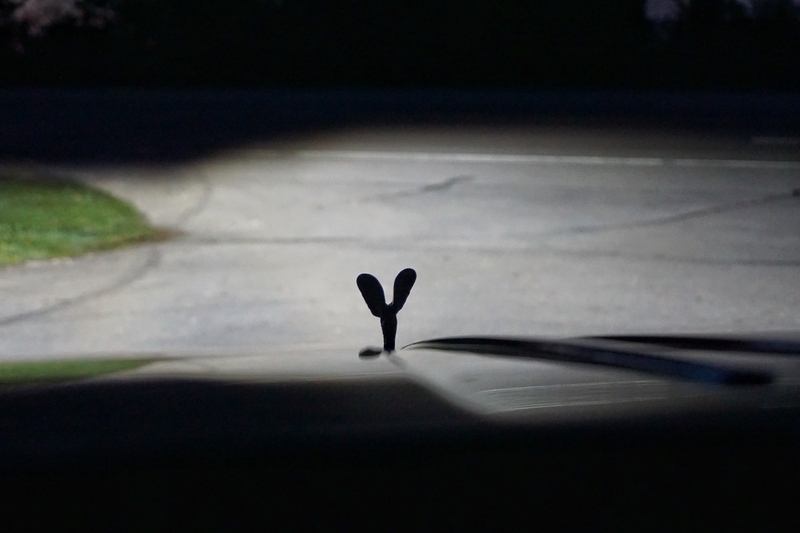 Before I knew it, I had arrived at Ted's Turn, the final sector before reaching the downtown start-finish line. It had taken me about 15 minutes to turn a full lap, but I reckon it could be done in five with enough cojones and the right lawyer on speed dial. 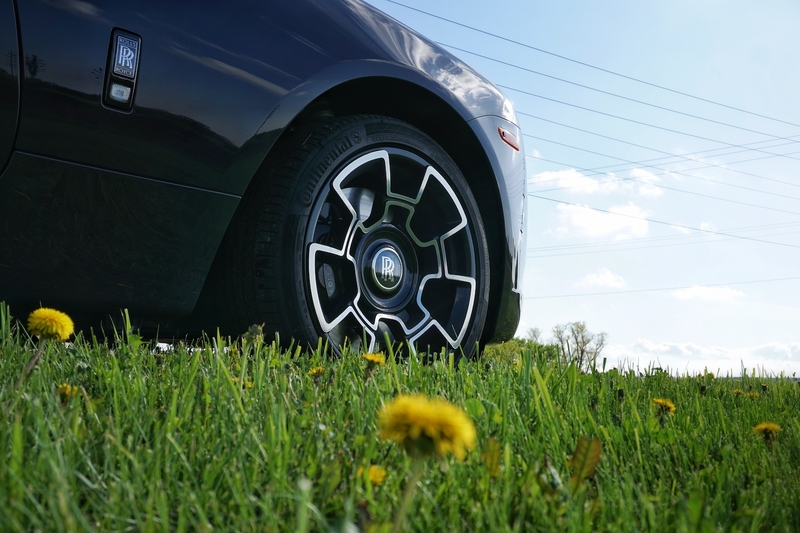 As for the Wraith, it's perhaps the most seductive and entertaining model of the Rolls-Royce lineup—and its boot is big enough to carry weeks worth of farm-made cheese and Wisconsin craft beer.